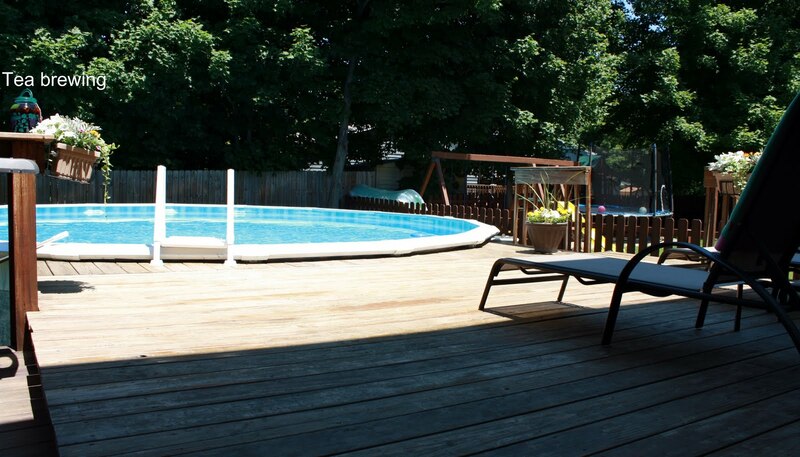 I shared with you last week about installing our pool and adding onto our existing deck a couple of years ago. 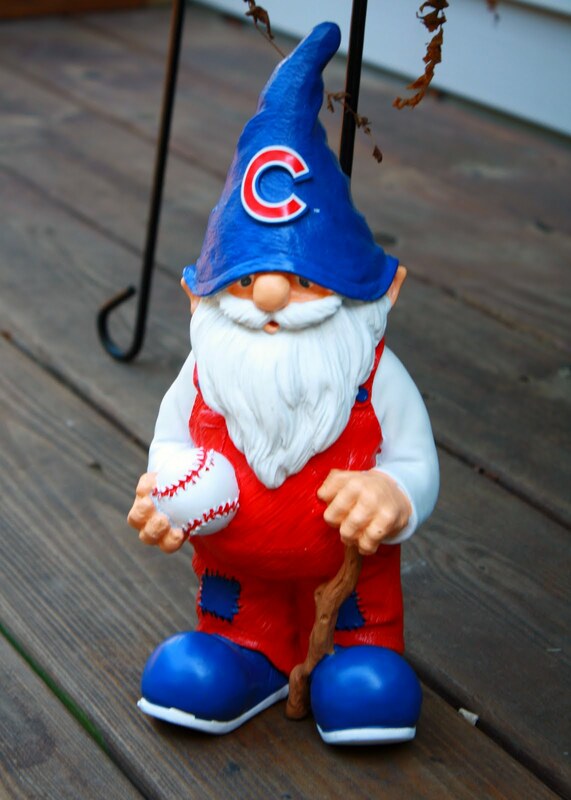 After five seasons now, it never gets old and we use it daily. I love looking out the window and seeing all the bright blue , it just makes me happy. Here's what it looks like today. It's pretty plain, but considering the use by all the kids, it needs to be functional and it is! The pool has direct sun all day until about 4:30 and we have shade all day on the deck which is wonderful. 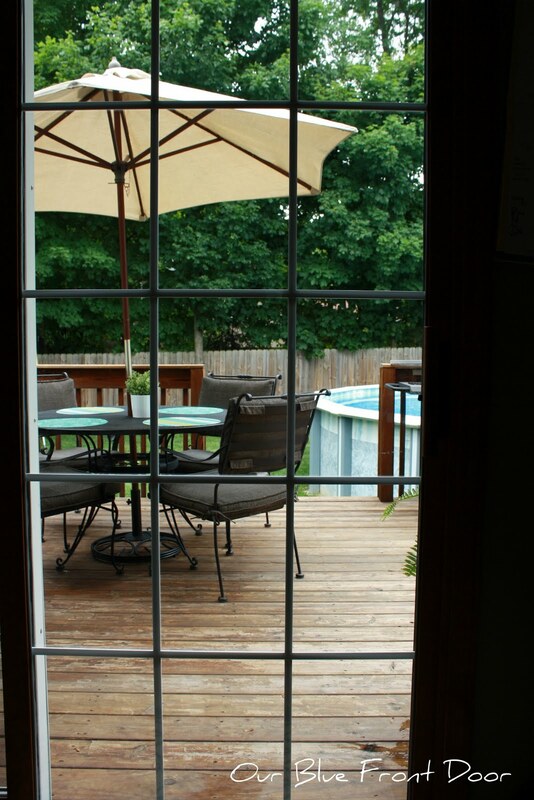 one step and you have complete access to the pool. kitchen. Perfect for entertaining too! deck railings and theyreally add a lot of color. and a couple shade loving annuals in pots. Nice deck and pool. I am sure the kids love it. We had an in ground pool on our other house, but we have a vein of granite just three feet underground here and springs. I do miss the pool, but try not to get much sun anymore anyway. Thanks for sharing yours at the summer blog party. Andrea, It was 93 degrees here in Richmond today so your pool is sure looking good. 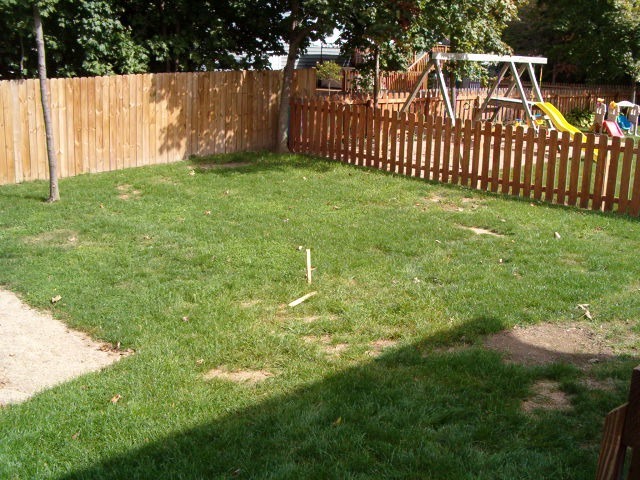 Great transformation of your back yard! so pretty! I'd love to look out there too and see the pretty blue. Very nice! Your deck is wonderful, it's so nice & big! Your flowers are beautiful too. Thanks for stopping by my blog yesterday. Have a great summer! 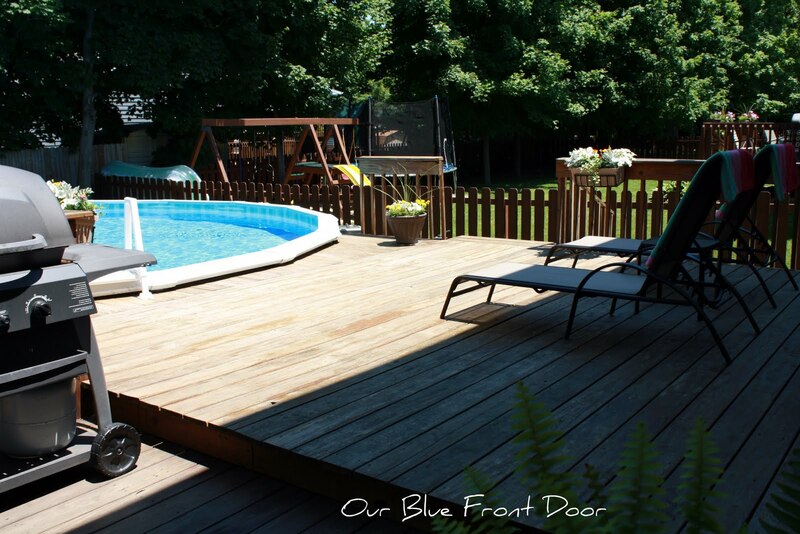 I love your pool and deck so much, and I totally get how you love to look out your window and see the shimmering blue water! I know what your family will be doing this summer! My children also loved our pool. They'd often spend 6-8 hours a day in it! We have now moved and there's no pool in our new house. We may just have to remedy that situation! What a fun backyard ... I'm sure it's constantly filled with splashes and laughter !! Yes, great view from your kitchen, too !! What a beautiful, functional, relaxing backyard. You must have some fabulously, fun times out there. 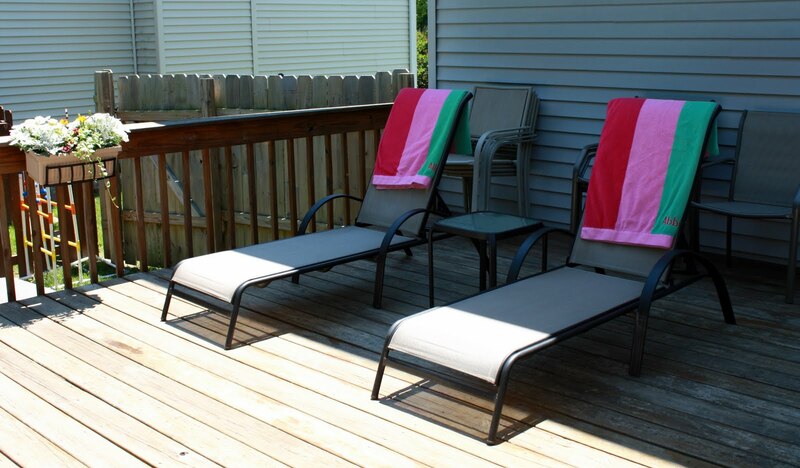 Your children will have wonderful memories from their childhood about this fun outdoor space!! 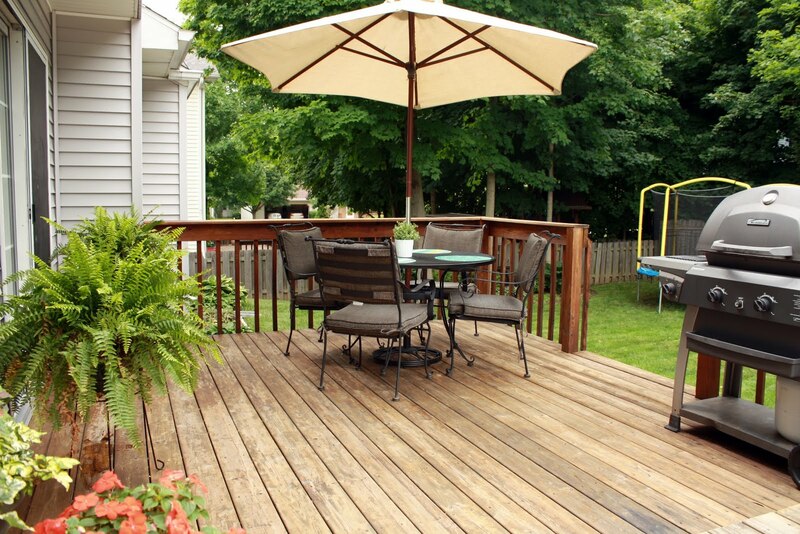 Your deck is marvelous and how your kids must love it. It's so nice that they can be home, have something to do and have their friends over. What a great space for a family. Thanks for visiting my blog and taking the time to leave such a nice comment. You are the best! After a stressed day, everyone loves to have a relaxed time in the pool. It's the magic of the pool that relieves stress. A pool is now common to everyone but whenever it is about its maintenance then a little headache comes. 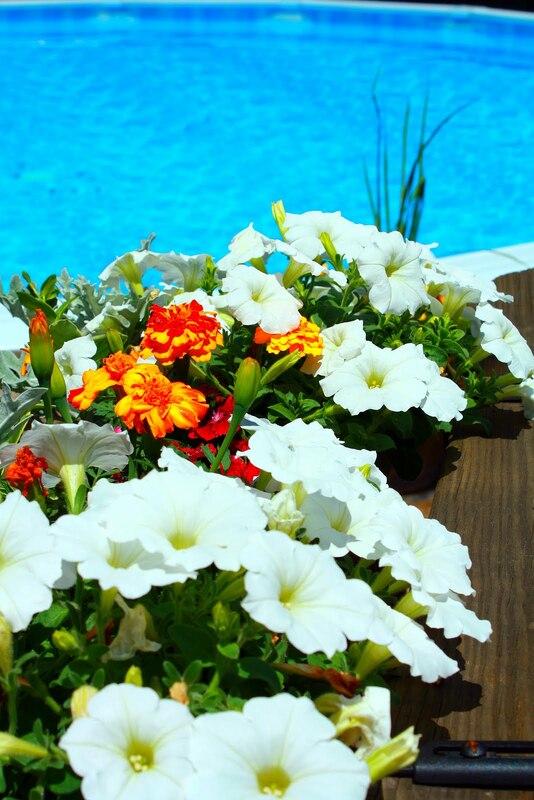 Pool Cleaner Tarzana. Your pool honestly attractive. Sorry I missed the installation part but I like this blog more. Glad that you shared the pictures! Thank you.